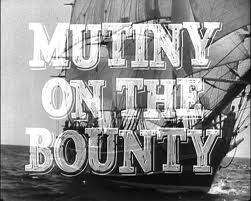 Brief Synopsis – The original (non-silent) movie production about the famous story about mutiny on the high seas. My Take on it – In 1935, this movie won best picture and none of the other 7 nominations it accrued. I was nominated for 3 Best Actor awards (Clark Gable, Charles Naughton and Franchot Tone). It also lost Best Director, Film Editing, Music score and Screenplay. Due to 3 actor being nominated for Best Actor, the academy instituted Best supporting actor the following year to avoid this happening again. Gable and Naughton apparently truly hated each other which helped them both deal with the animosity between their characters. This was the last Best Picture movie to win only one Oscar. Found this version to be somewhat boring, but still a success fro the fact that it was made in 1935. The Bounty (1984) with Mel Gibson and Anthony Hopkins is much better as was the remake in 1962 with Marlon Brando and Trevor Howard. Bottom Line – Later productions were much better and I found this depiction a bit boring even with Laughton and Gable on board.